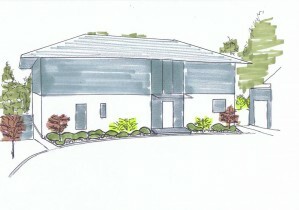 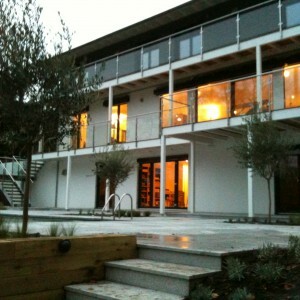 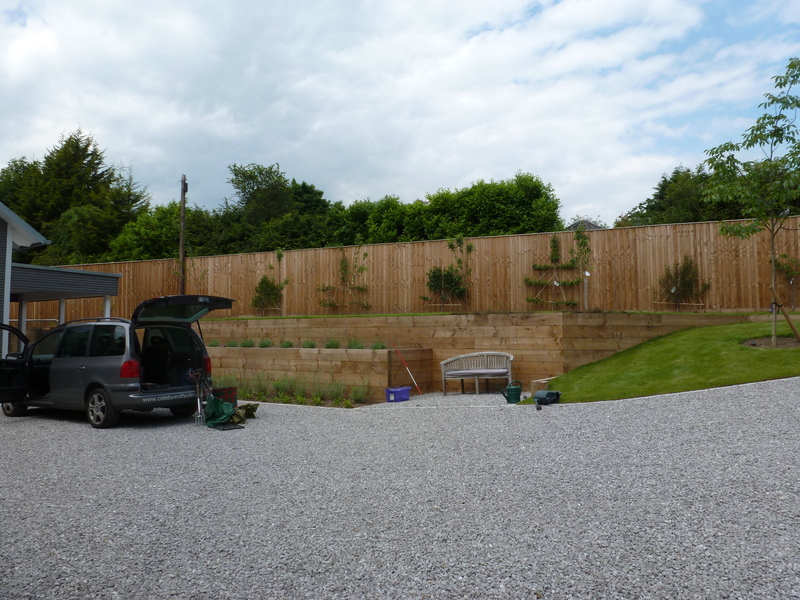 A challenging chalky site has been developed over a 3 year period. 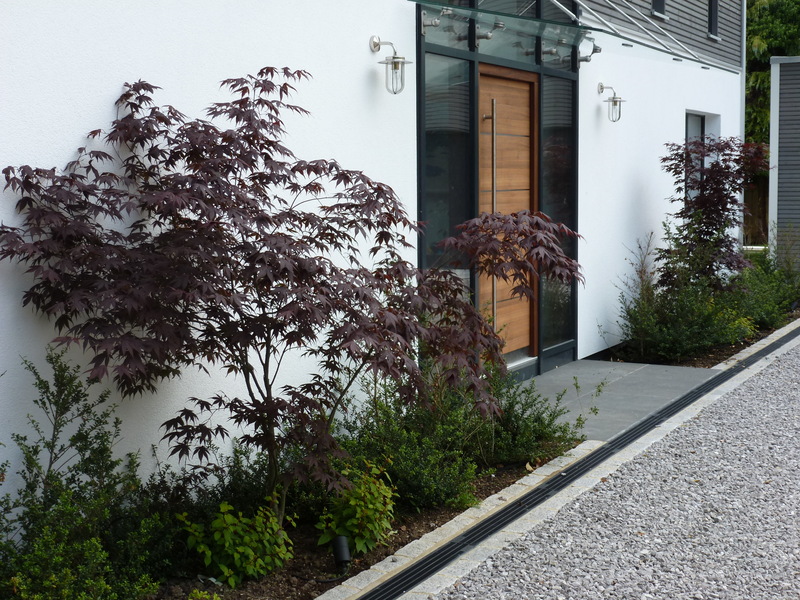 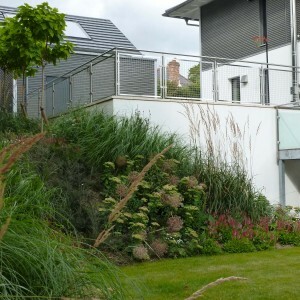 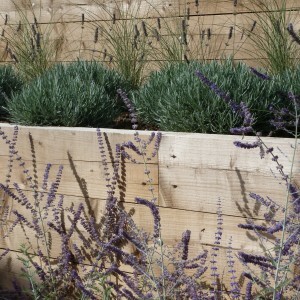 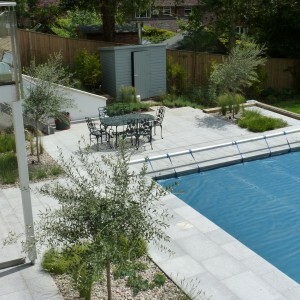 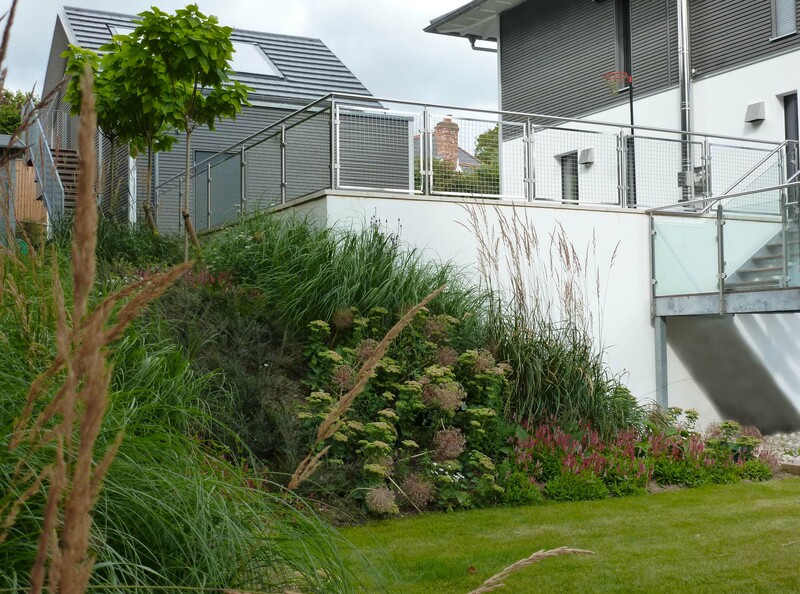 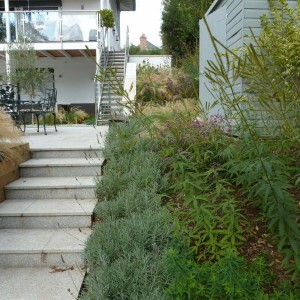 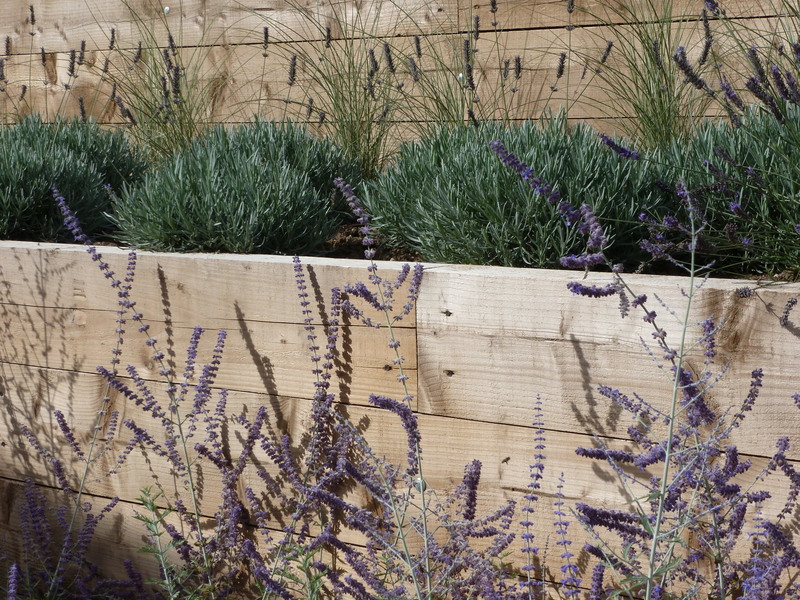 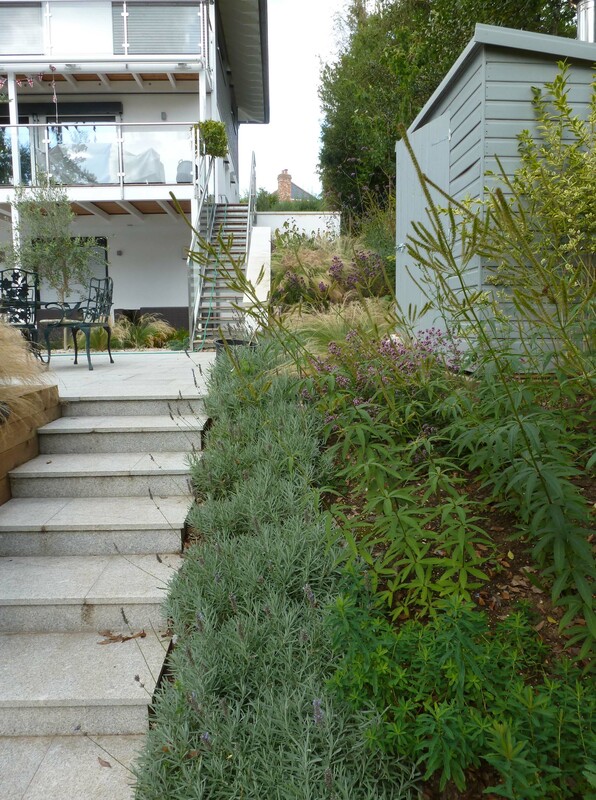 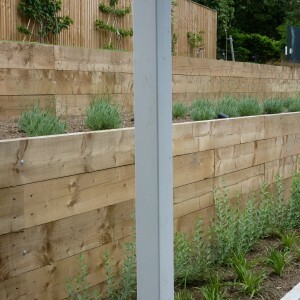 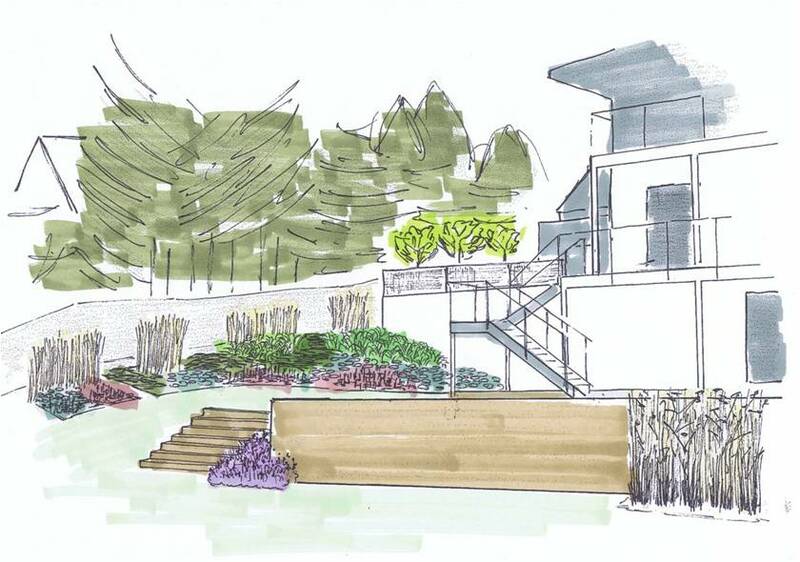 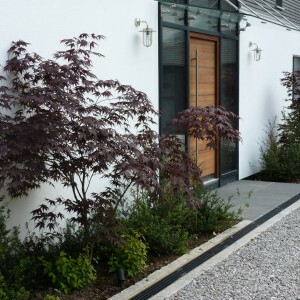 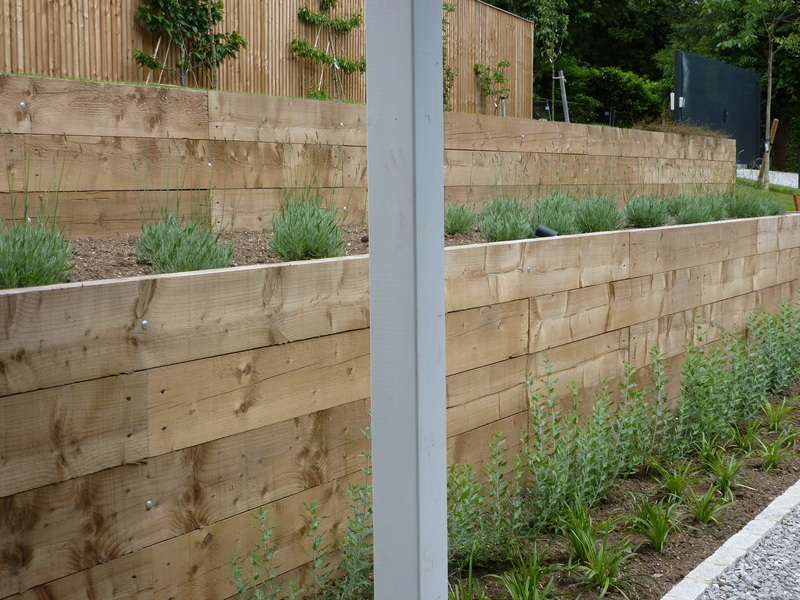 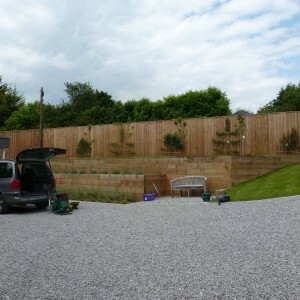 A practical garden with loads of space for play …. 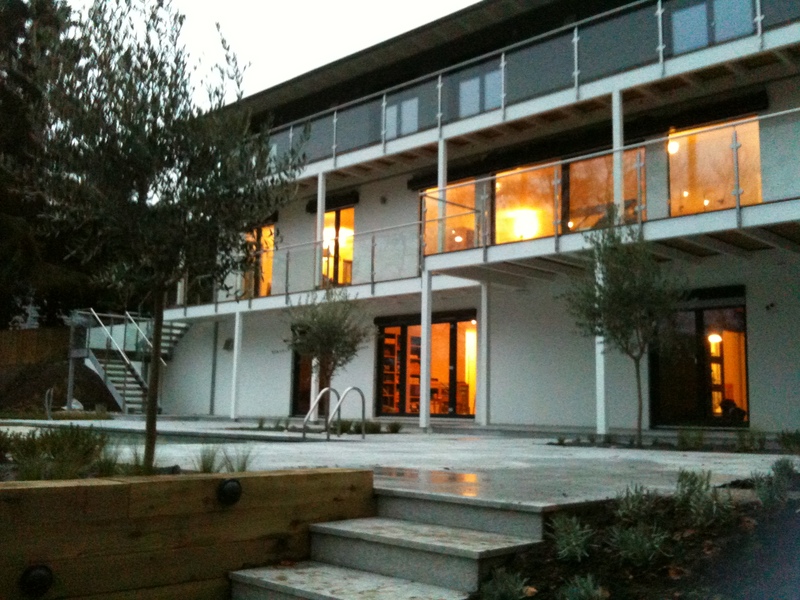 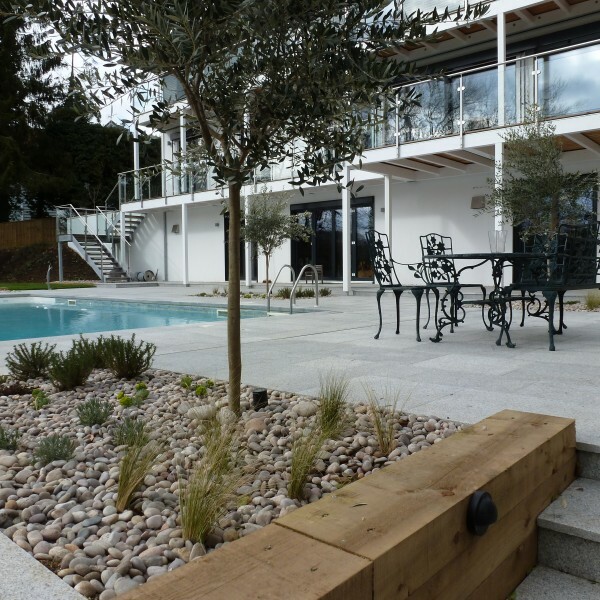 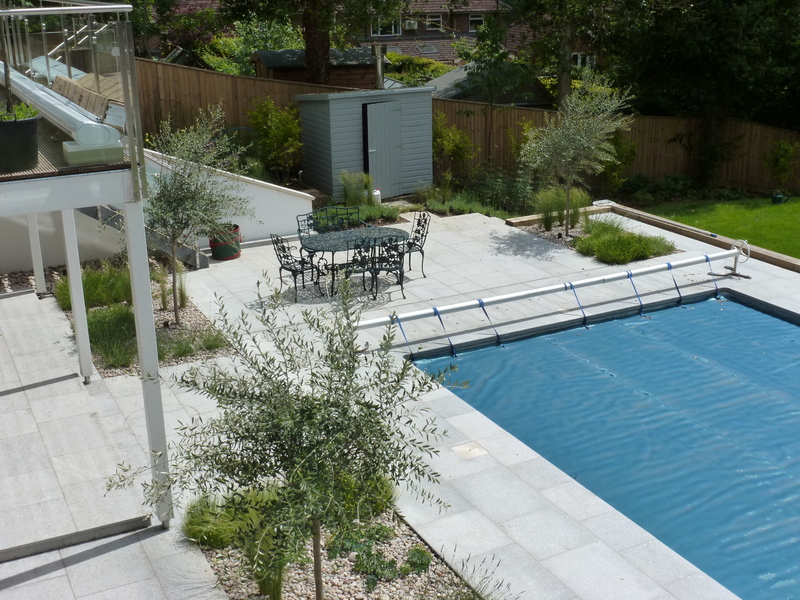 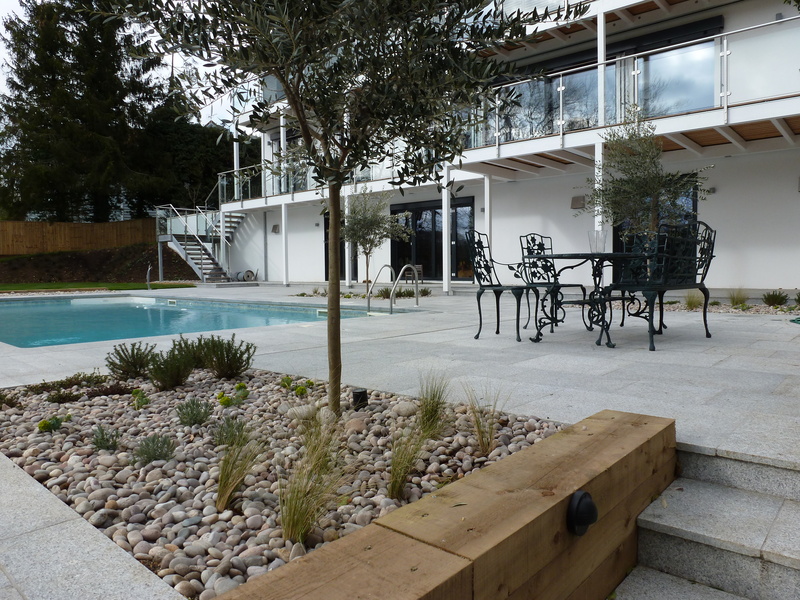 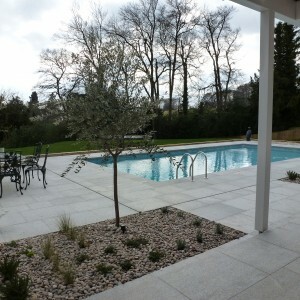 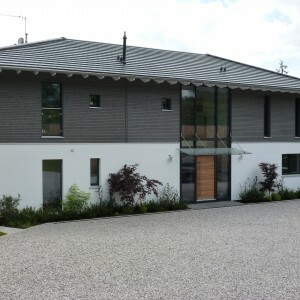 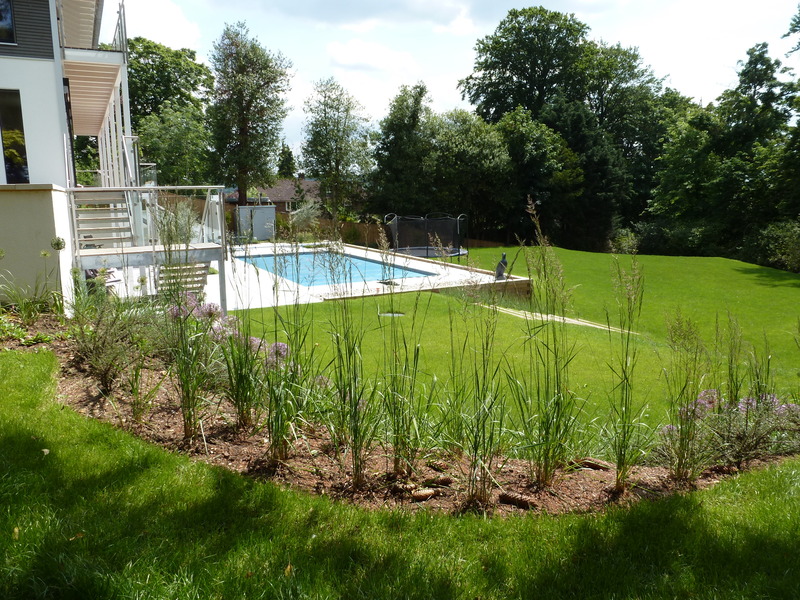 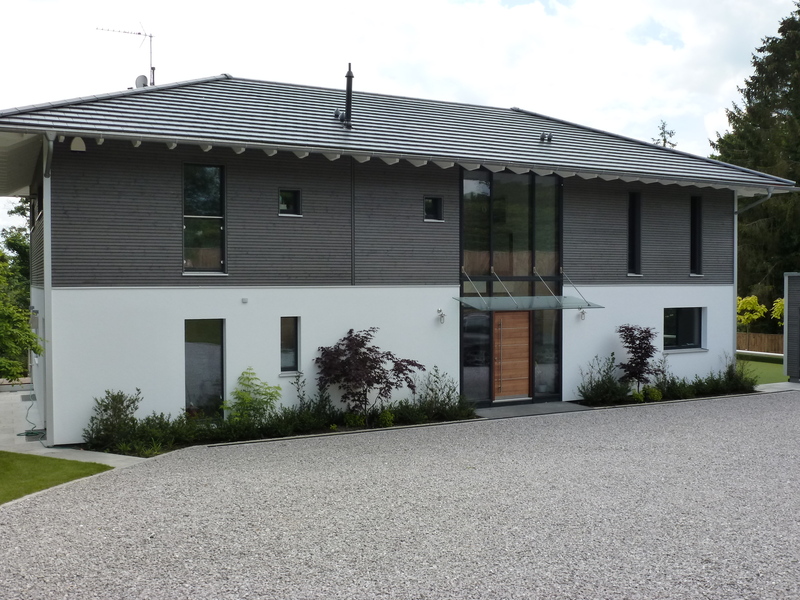 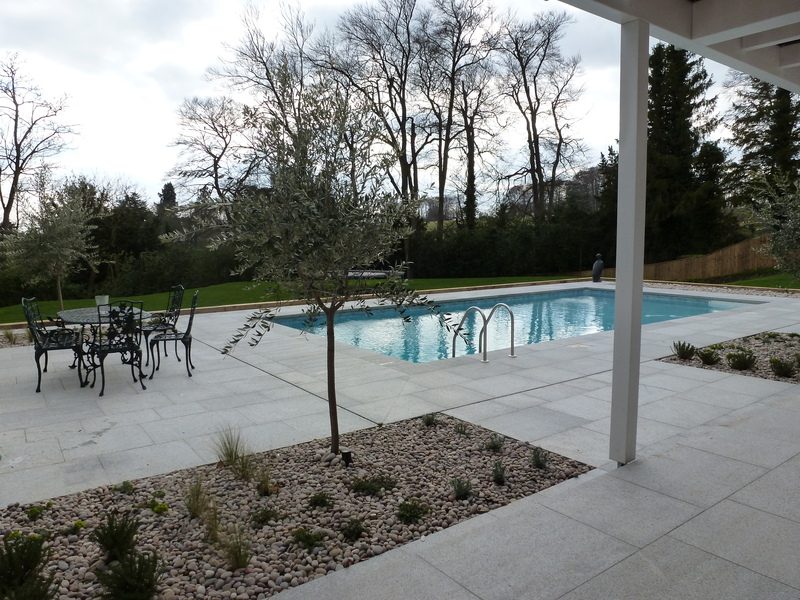 there is a crisp new limestone terrace around the pool with an outdoor shower / blocks of robust planting for easy maintenance / an all weather games pitch for hockey practice and a veg patch outside the back door.